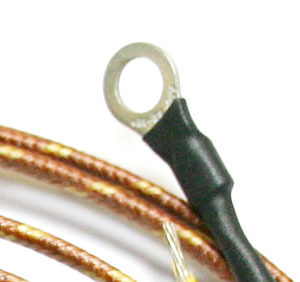 Now Available in both K- and J-Type Thermocouple Wires! 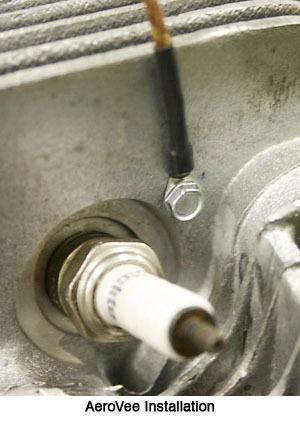 Tired of ruining your old CHT probes every time you touch your spark plugs? Introducing AeroConversions CHT Probes for Jabiru, AeroVee and other VW-based Engines! Unlike traditional CHT probes which are installed under spark plugs, AeroConversions CHT probes are made to be attached to cylinder heads independently. For AeroVee, or any other VW head engines, the AeroConversions CHT Probe is screwed into the cylinder head with a small self-tapping screw. 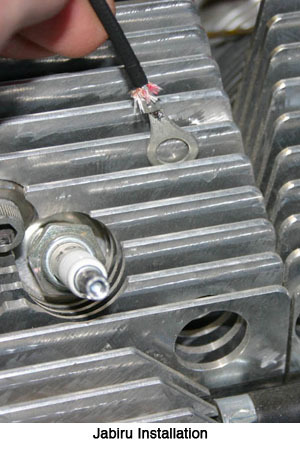 For Jabiru Engines, the probes are installed under cylinder head bolts. AeroConversions CHT Probes are sold in sets of 2 probes for $35, available in either K-Type or J-Type, depending upon your instrumentation's requirements. Note: Stratomaster Instruments require K-Type probes; Grand Rapids EIS requires J-Type probes. 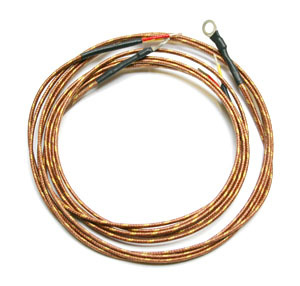 Thermocouple wire length: 48 inches. All Sonex Instrument Packages for AeroVee now include AeroConversions CHT Probes as standard. Important Note: AeroConversions CHT Probes are NOT COMPATIBLE with the newest Jabiru engines which have narrow cylinder head fins: Jabiru 2200 serial number 2552 and newer; Jabiru 3300 serial number 960 and newer. Download AeroConversions CHT Probe Installation Instructions on the Sonex Instruction Sheets page.